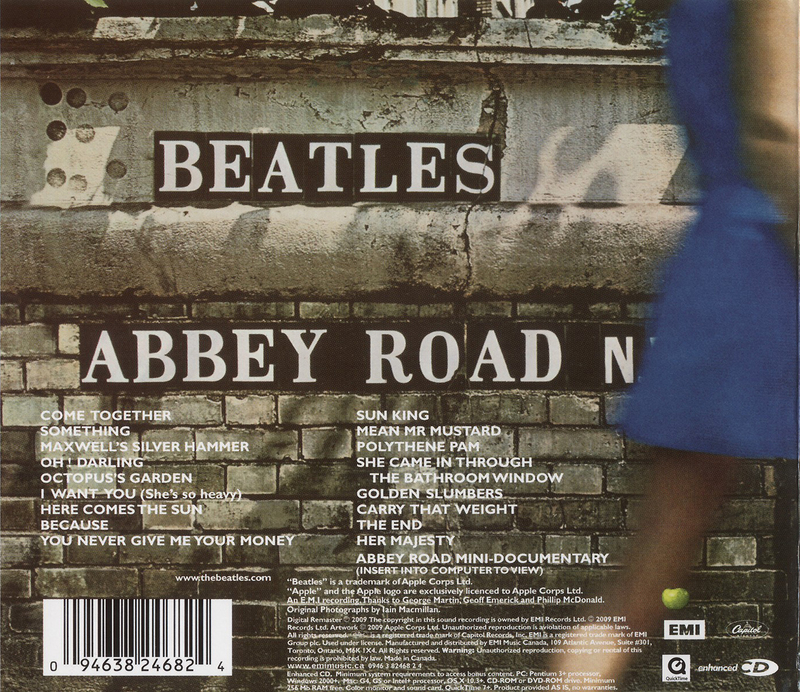 Here is the back cover of The Beatles album Abbey Road. If you connect the dots to the left of where it says Beatles it makes a number 3. As is there are only 3 Beatles alive. ehh that's a stretch. he could be buried inside that wall too. but he isn't/wasn't dead so it seems a waste to go on with it. Come on… we KNOW that’s one heck of a stretch. The “clue” on Abbey Road is the whole front cover showing a funeral procession surely? John dressed all in white leads as the preacher; Ringo in black as the undertaker; George in denimn as the gravedigger and Paul as the barefoot corpse. They must’ve known this was going to be their last or studio album and the funeral isn’t just for Paul, its the death of The Beatles! 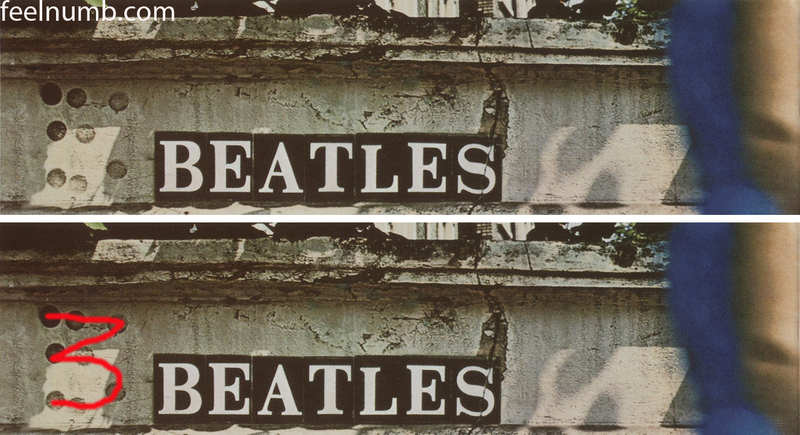 Notice the crack the runs through the S in BEATLES. It supposedly represents the impending breakup.